TIDC INDIA has annual production capacity of over 40 million meters of chains from it 3 plants across India. 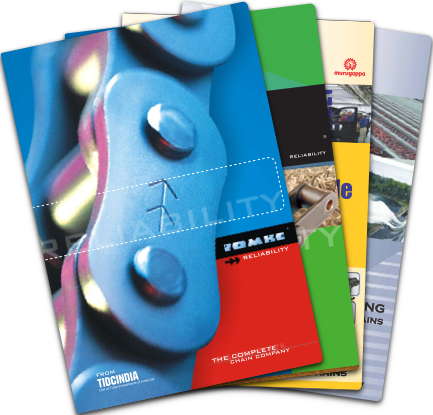 TIDC INDIA has been serving global motor cycle OEMs, industrial OEMs, top global chains brands & end users. We’ve been their trusted partners for many decades due to our core strength in manufacturing, quality, reliability, flexibility & efficiency. With over 55 years of manufacturing expertise, we are one of the oldest chain manufacturers who have been constantly innovating in terms of manufacturing processes & improved productivity. We have a team of around 50+ engineers constantly working to produce the best chains. Being part financially strong Murugappa group, We’ve constantly kept abreast with latest manufacturing technology to improve productivity, deliver per commitment & help improve cost optimization ultimately delivering customer value. We are pioneers in the concept of “cellular manufacturing” in the Indian & global chain industry. One of our great strength is being “Complete Chain Company”, our product portfolio has nearly 10, 000+ SKUs and yet been consistently delivering right product with short lead times. We are able to deliver the standard & customized products & solutions due to our production methodology, the product specific stand-alone divisions having strong processes to produce different varieties of chains & meet customer expectations.